Cyprus is the perfect destination for those looking for relaxing recreation. There are no mega-cities on the island, but plenty of quaint beaches and attractive embankments in intriguing coherence with ancient historical landmarks. With two distinct ethnic sides – Greek and Turkish – you will have the opportunity to be immersed into a collision of lifestyles, cultures and new experiences. Although the Turkish-Greek division used to be a heated issue, it is becoming increasingly easy to cross the border between to two in order to truly explore each side of Cyprus. Whether you’re looking for ritzy resorts, some relaxing beach time, a mountain excursion or a culture and history lesson, the blue waters and stunning Mediterranean Island of Cyprus is calling your name. Larnaca International Airport is the most popular arrival place in Cyprus. Your journey around Cyprus will most likely also start from there. The name of the city is dedicated to more than 3 thousand tombs called larnakas in Greek. They were excavated in the surroundings of the city in the 19th century. Today, Larnaca is the third largest city in Cyprus, and it has been established as one of the most popular tourist destinations in the country. Despite its small size, Larnaca has a plethora of historical landmarks such as the Kamares Aqueduct and a medieval fort along the seafront, which was the part of Citium. 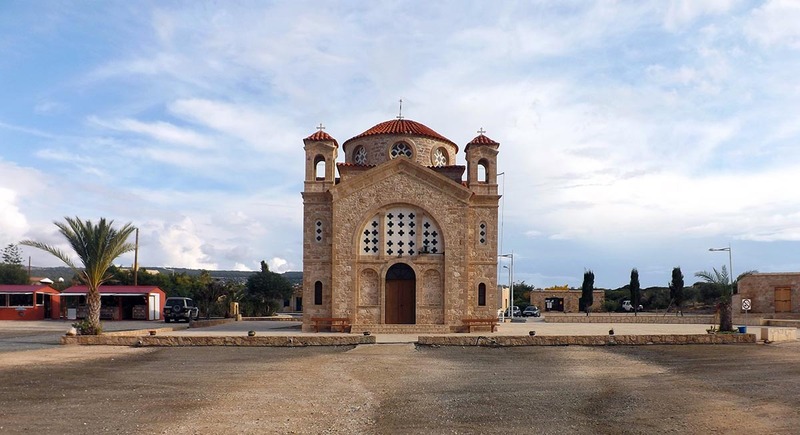 Even though South Cyprus is Christian, it has temples of different religions including the Catholic Church of Saint Lazarus and the Muslim mosque, Hala Sultan Tekke. You will also find monuments to Zeno, who founded the philosophical Stoic school, as well as of the national hero, Cimon the Athenian, and memorials of the Armenian Genocide. Since Larnaca is considered to be a popular tourist destination, it has many comfortable hotels, wonderful seafront destinations and an attractive marina full of pleasure yachts. Limassol is the largest city located on the coast of Cyprus, so it is able to accommodate more tourists in comparison to the other seafront cities. The city is considered one of the top 10 tourist destinations in the world. The settlement of Limassol was established around the Old Port and Limassol Castle during the Byzantine times in Cyprus. Today, Limassol is located in the Southern part of the island between Kourion and Amathus – remains of two ancient cities. 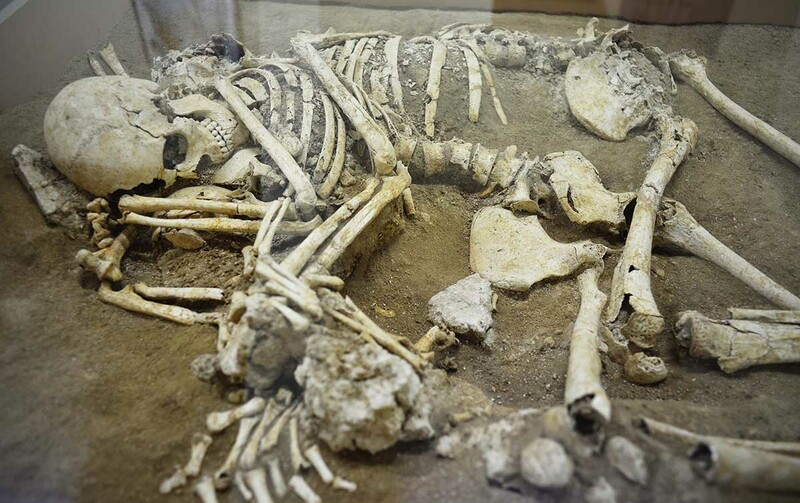 However, the city of Limassol is considered ancient itself, because graves have been there since around 2000BC. 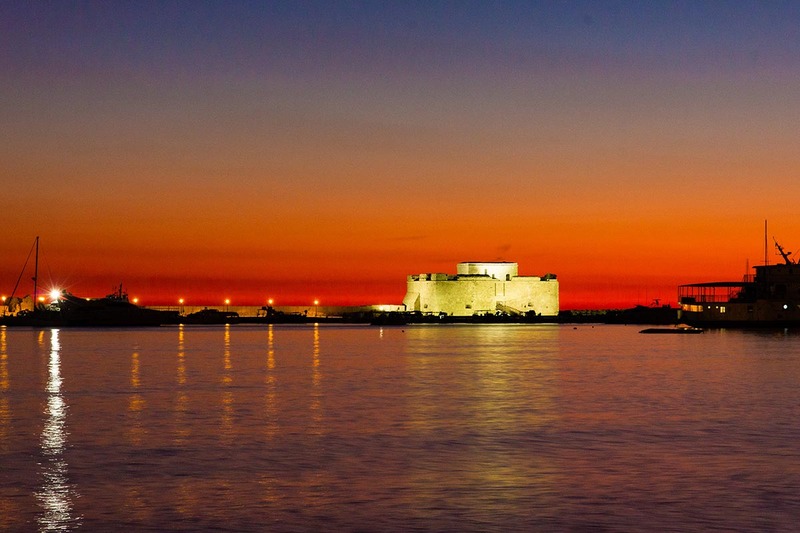 One of the most important periods of Limassol’s history is considered to be the Venetian period, when the Castle of Limassol obtained its strength. It wasn’t until three centuries of occupation by the Ottoman Empire, however, that the castle received its new look. The first schools in the city were established there in the 19th century. The most significant changes in Limassol were made during time of British colonization. The first hotels, football clubs, art galleries and the other cultural venues were founded in Limassol at the end of the 19th century. There are a lot of landmarks in Limassol including the medieval Castle of Limassol and the Folk Art and Archaeological museums. 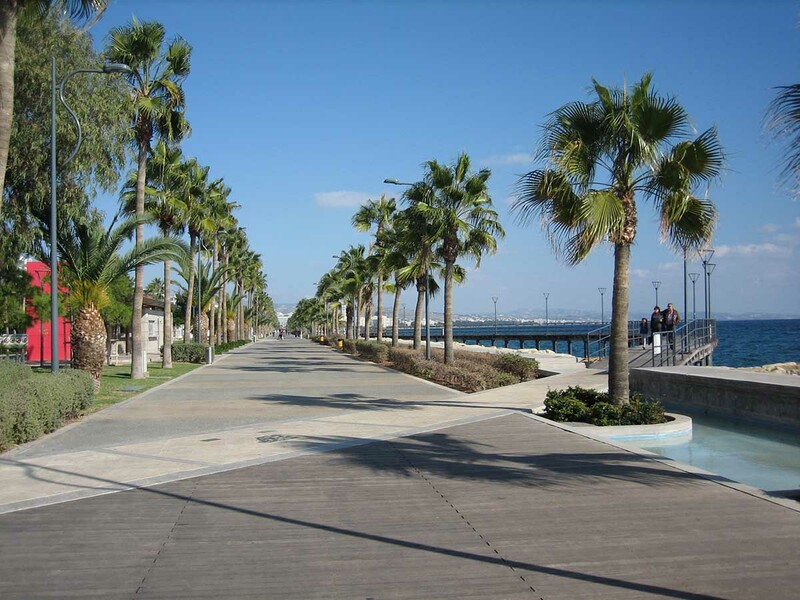 The Limassol seafront is the most attractive part of the city. There are a lot of sculptures, gyms, skateboarding parks, children’s playgrounds and plenty of cafes along the promenade. This street is suitable and enjoyable for everyone. 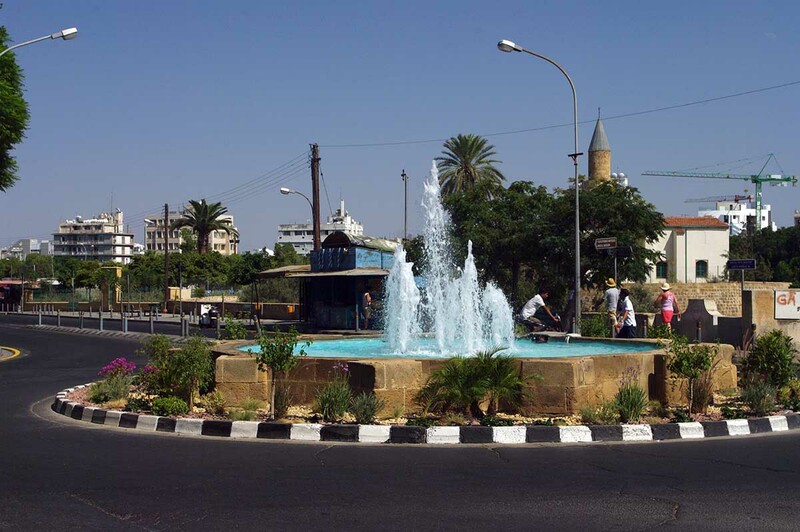 Paphos is a city in the western part of the island of Cyprus. It is a pretty calm place in comparison to the other recreational areas of the island. However, the city itself is quite different, as it is divided into two parts: old and new. The new part of Paphos is based on the city harbour, which has an attractive embankment with lots of observation points towards the Mediterranean sea. This part of the city is full of good restaurants and hotels. The best beaches of the city are also located there. Together with tourist attractions, the city is known for important historical landmarks, especially Old Paphos. Old Paphos originated on the Stone of Aphrodite, which is considered to be her mythical birthplace. Even though this place is located outside New Paphos, the historical area of the city is much larger. Tourists from all over the world adore Paphos for its pleasant atmosphere and notable landmarks such as the medieval fortification at the seaside, the archaeological park Kato Paphos, the Tombs of Kings, plenty of amazing churches and beautiful beaches. Nicosia is the only modern capital in the world that has been divided between two states since 1963: the Southern state belongs to the Greek Cypriots and Northern state belongs to the Turkish Cypriots. Nicosia is the largest city of Cyprus. The border is located in the very center of the historical center encircled by the Venetian walls. Nicosia is the city of contrasts. There are a lot churches in the Greek part of the city (Strovolos), but you can hear sound of mosques from the Northern part of Nicosia (Lefkosa). 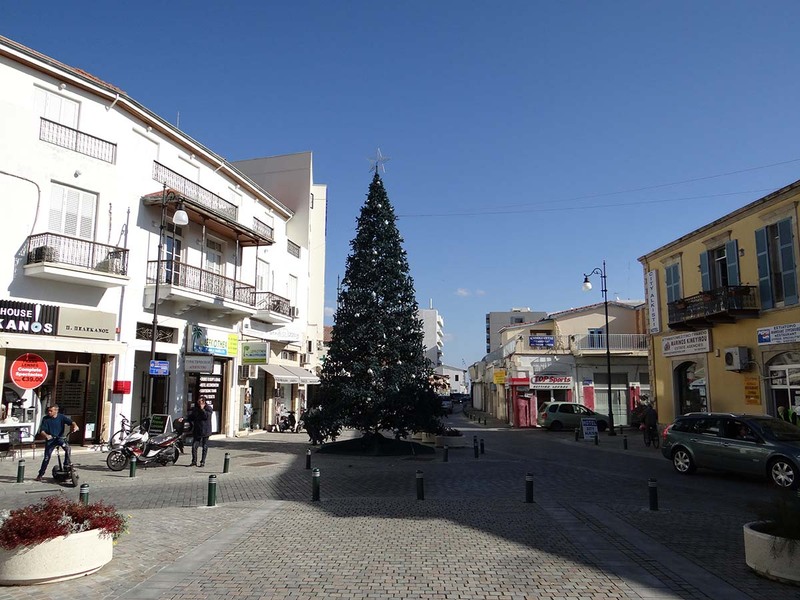 Unlike the other big cities in Cyprus, Nicosia is located almost perfectly in the center of the island instead of along the coast. Tourists go there in order to observe historical landmarks and experience the saturated life of the capital. Banking plays an important role in the Cyprus economy nowadays, so Nicosia has established itself as a financial capital and prominent business center. It seems difficult to believe that several centuries ago the main occupation of local people was farming. Ayia Napa is the most popular recreational area in Cyprus amongst young people. It is a very popular place for those who want to delve into the nightlife of Cyprus. In direct translation from Greek, “ayia” means “holy” and “napa” is translated as “the wooden valley”. So the name of the city came from the ancient monastery in that area, which was built there during Venetian times and was surrounded by a dense forest. It is almost baffling that “the holy place” has turned into a clubbing center nowadays. The ancient monastery remained in Ayia Napa and it is the only historical attraction in that area. There are two museums in Ayia Napa dedicated to marine life: the Thalassa Museum of the Sea and the Tornaritis-Pierides Museum of Marine Life. The Ayia Napa Sculpture Park of 17 interesting constructions was established as a result of the first Sculpture Symposium in Ayia Napa in 2014. Ayia Napa is located in the eastern part of Cyprus. There are wonderful rocky beaches in the area with clean and transparent water. If you are looking for some water-based attractions, you should visit the WaterWorld Themed Waterpark. It is a pretty loud area, which houses several festivals during the summer. When you get bored of the sea and of relaxing on the wonderful Cyprus beaches and want something totally different, go to the mountains. Specifically, go visit the Troodos mountain region, which has the largest mountain range on the entire island. The nature to be found in Troodos is totally different and the temperature is usually 10 degrees less in comparison to the seaside. 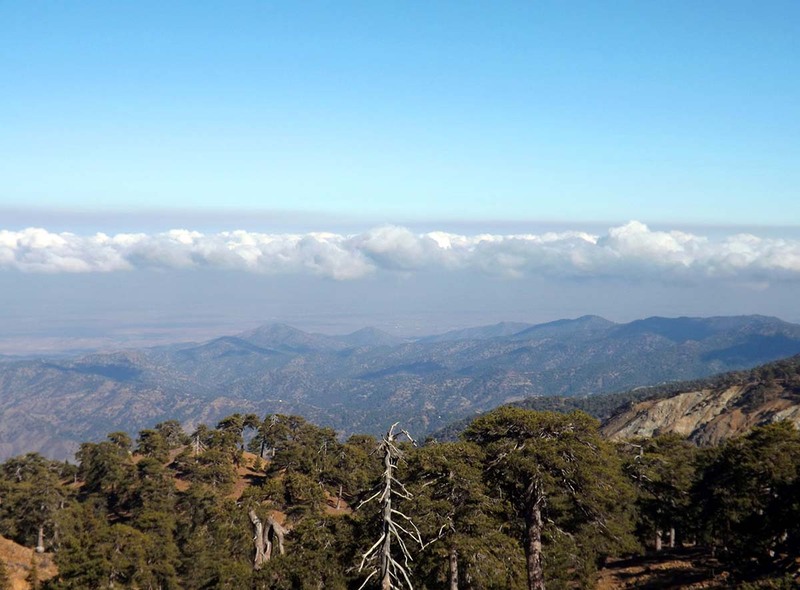 Mount Olympus, with a height of 1952 meters, is the highest point of Troodos. It is a popular ski resort during winter season. By the way, the Troodos Mountains are the only place in Cyprus with snow. There are a lot of trails in Troodos, which are suitable for day hikes, as well as for longer trips. The area is also popular because of the nine charming churches that have been there since the Byzantine times. The best-known is the Kykkos Monastery. The Kaledonia Waterfall in Platres is one of the most attractive points of the Troodos District. Overall, the region of Troodos is an area of tranquil, outdoor recreation and amazing scenery. Polis is a small town in the northwest of Cyprus surrounded by amazing natural landscapes. The most recognisable is Akamas National Park with the Bath of Aphrodite. It is located on the peninsula directly west of Polis. A long time ago, Polis was a simple fishing center. On the way to Akamas you will pass through Latchi, which is a popular fishing hub in Cyprus. Stop for a minute in the marina to take in the amazing fishing boats and pleasure yachts. 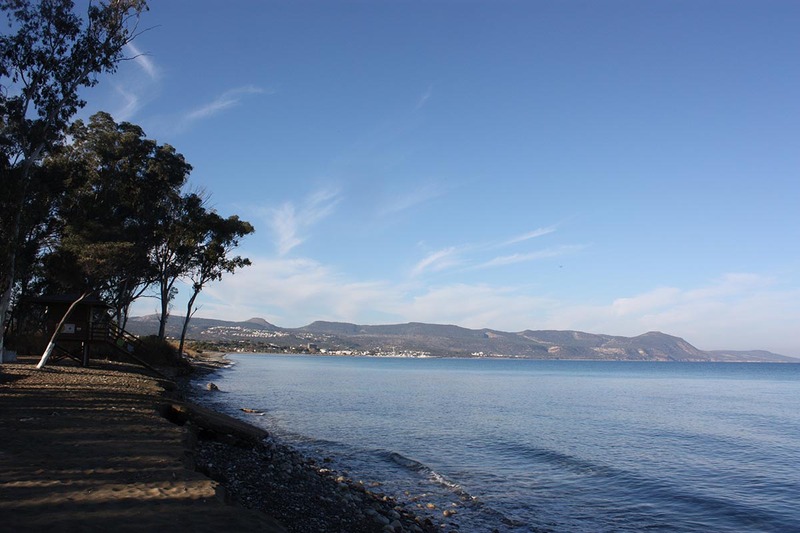 There is convenient camping along the beaches of Polis where you can stay either in your tent or in a trailer. There is a kitchen and shower facilities, allowing for the comfort of these amenities accompanied by the beauty of the sea and the experience of camping. If you want to choose a hotel, there are several in town. The main attraction of Polis is the Georgian Orthodox Church. Polis is small itself, but quiet and peaceful. The Holy Monastery of the Virgin of Kykkos is the full name of the wealthiest and the most famous temple in Cyprus. It was built in the 11th century when Cyprus was part of the Byzantine Empire. The Kykkos Monastery was burned down several times, so the current building is quite different from the original. 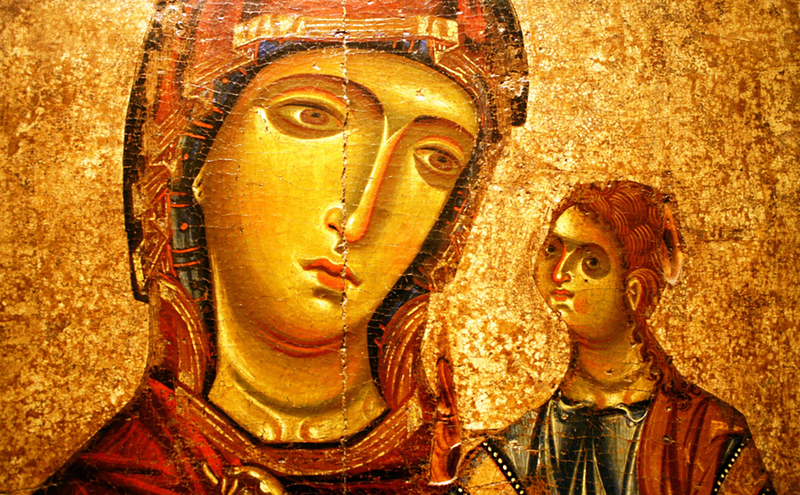 The centerpiece of the Kykkos Monastery is the icon of the Virgin Mary, which has become a known template of depicting the Mother of God with her son Jesus. The icon was shipped to the monastery from Constantinople where it had been stored for about nine centuries. The Kykkos Monastery is also known for the Archbishop Makarios III, who became the first President of Cyprus. He served as a monk in the Kykkos Monastery, and his tomb is located 3 kilometers away from the temple. 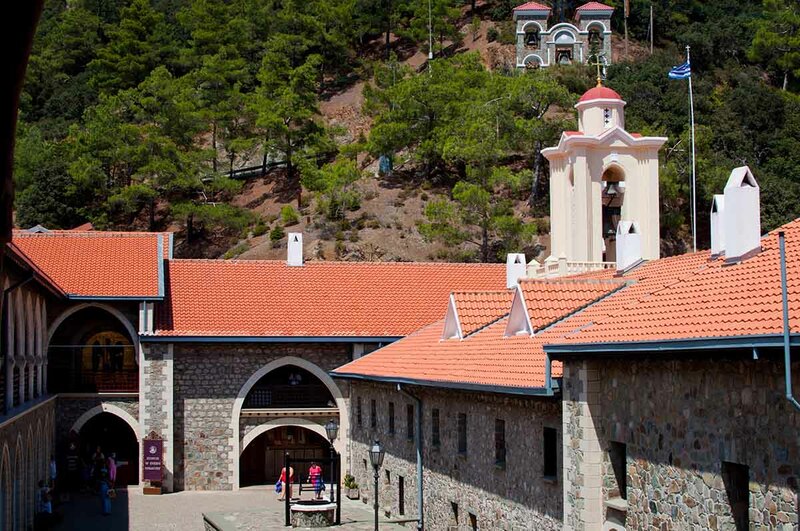 The Kykkos Monastery is situated in the Troodos Mountains at an altitude of 1318 meters. It is connected with Polis and Troodos by a number of curved roads. There are places for visitors to stay along the way, as it is quite difficult to reach the monastery. The monastery is a very popular pilgrimage destination. The Hala Sultan Tekke is one of few Muslim mosques in the Southern part of Cyprus. After the Cyprus conflict in 1974, the island was divided into two states and almost all mosques in the Southern part were destroyed. The Hala Sultan Tekke was attacked several times, but it survived. The Muslim convent was built in order to gather the Sufi brotherhood together on the site of the ancient cemetery. The Hala Sultan Tekke is still a place of Muslim pilgrimage, which is why it has continued to exist. Living spaces, one minaret, a mausoleum and a cemetery surround it. The mosque is still active, and if you want to go inside, you have to take off your shoes. 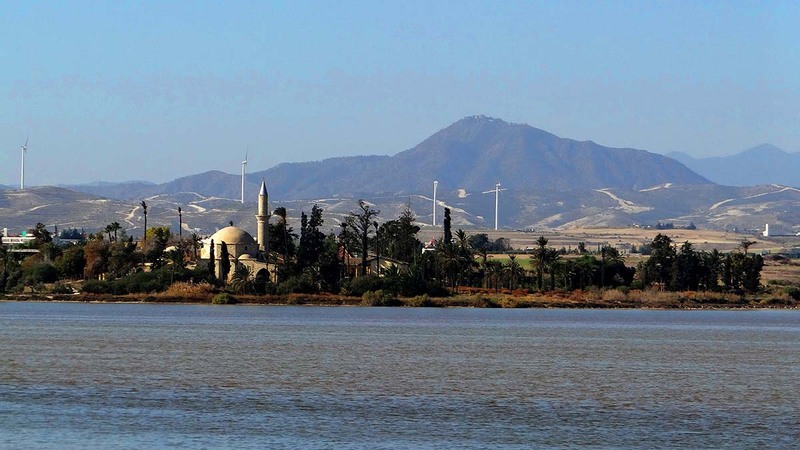 The mosque is located at the bank of the Salt Lake, which is very close to the Larnaca International Airport. It is a harmonious edifice in the middle of a beautiful garden with green trees and flowers. The Saint Lazarus Church is an Orthodox Church in the center of Larnaca. It is considered to be the most visited attraction in the city. The church was built in the 9th century. It is dedicated to the Gospel figure Lazarus of Bethany, due to his resurrection after death with the help of Jesus. Lazarus spent the rest of his life in the church and was buried there for the last time. His tomb is still located in the eponymous church. The church is notable for its wooden iconostasis with golden decorations of the 18th century. Although Saint Lazarus Church was badly damaged by a fire, it was perfectly restored. Today, the church is in perfect condition. 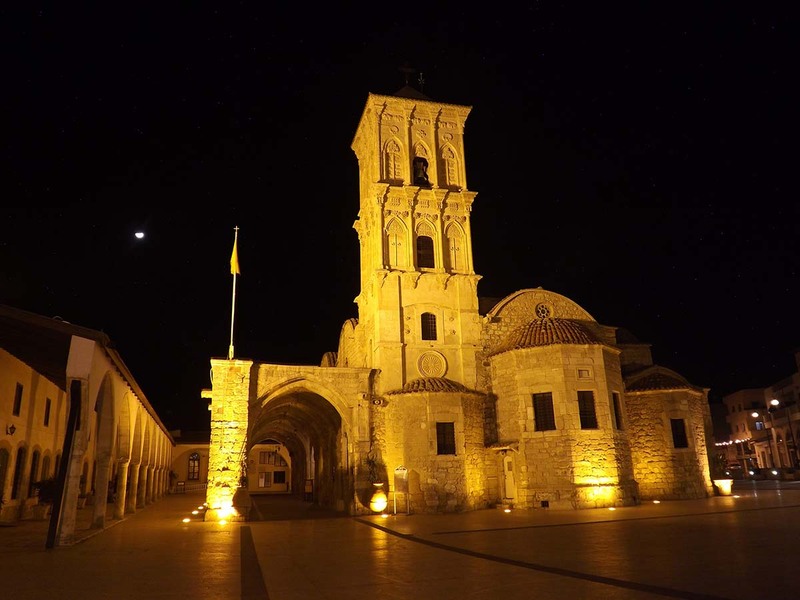 If Saint Lazarus is a significant person for you, visit Larnaca on Lazarus the Saturday eight days before Easter when the icon of Saint Lazarus is taken in procession. In general, you may visit the church at any time. It is a very spiritual place with an intimate courtyard. 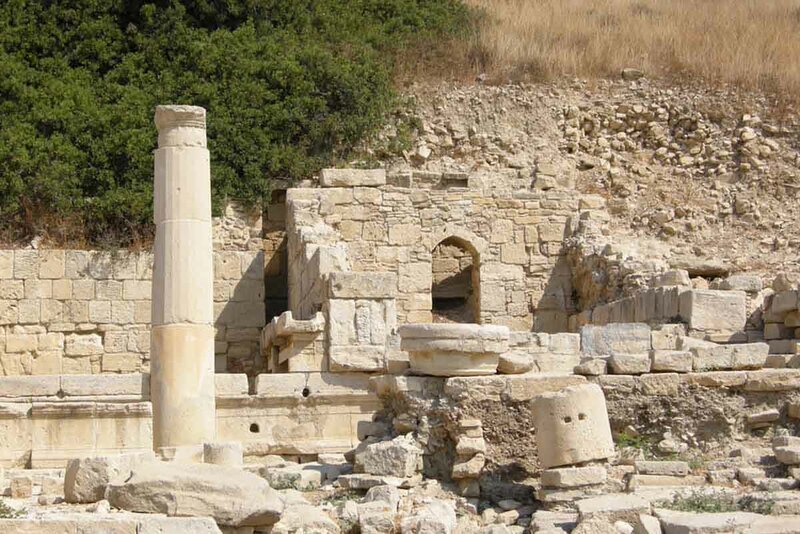 Amathus was one of the most important cities on the island of Cyprus in ancient times. The ruins of Amathus are nestled into the coastal cliffs between Larnaca and Limassol. The city of Amathus was named after Amathous, who was mother of Cinyras – the honored founder of the ancient city. Nobody knows when exactly Amathus was founded, but during excavations, traces of human activity from as far back as the 11th century BC were discovered. The ancient city was known for its peculiar population that belonged to the cult of Aphrodite. No wonder the temple of Aphrodite was erected on a high cliff at the city of Amathus. The ancient city lost its religious significance when Christianity was introduced into Cyprus. It was finally demolished when the King of England, Richard the Lionheart, conquered Cyprus. Eventually, some of the stones of Amathus were used for building the Suez Canal. Some tombs and constructions of ancient Amathus were moved Limassol, others were moved to the British Museum and the other places around the world. So, only some ruins of Amathus remain on the site of the ancient city, but its rich history and wonderful location make this place popular and widely visited. Kourion used to be an important city in the ancient world, whose ruins were perfectly preserved. The remains of the ancient city are recognized worldwide, and it became the part of the UNESCO Heritage Sites. 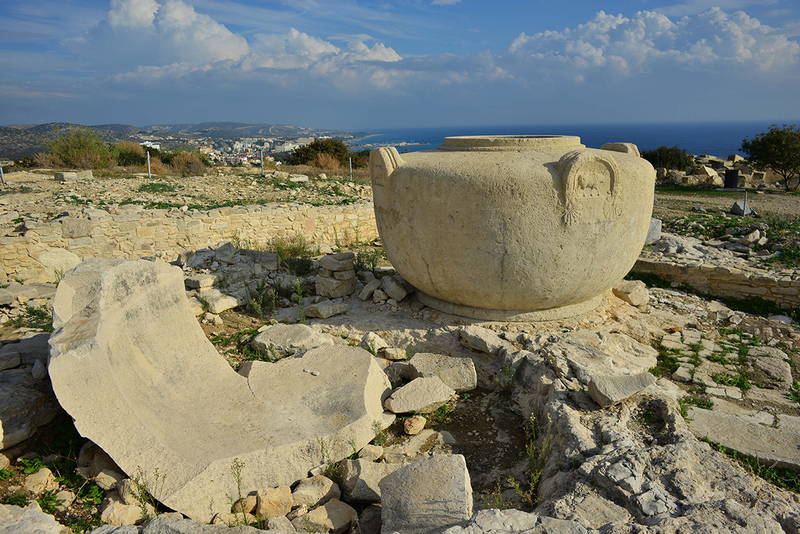 The first settlement on the site of Kourion appeared in the 5th century BC, but most parts of the remains date back to the Roman and early Byzantine era. The Theatre of Kourion deserves special attention; it is a large construction that is able to accommodate up to 3500 people. It houses the International Festival of Ancient Greek Drama during the summer. Moreover, there is the Bath and House of Estolious with incredible mosaics on the floors and marble everywhere. There are also interesting detailed mosaics in the House of Achelled, located outside the Kourion walls. Despite the name, the House of Gladiators served as a luxury private residence. The Forum and the Bath, the Stadium and two basilicas also deserve your attention. The ancient city is well preserved, and is well worth the visit. Kourion is located on a hill to the south of Limassol, very close to the village Episkopi. The hill is surrounded by the Kouris River Valley, which gave the city its name. St. Georgios Church is located in the Peyia village of the Paphos district. It is an Orthodox church built in typical Cyprus architectural style. The church has a nice-looking exterior and spiritual interior with icons and mosaics. The St. Georgios church is awesome by itself, but it also has underground. There is a nice observation point at St. Georgios Church from which you can spot an islet in the Mediterranean Sea and the marina, so it is also a popular place for both tourists and locals. If you take a swimsuit, you can even take a dip and get a tan at the beautiful beach. Most tourists visit St. Georgios Church on the way to Avakas Gorge. The last stop of the bus going from Paphos with one change in Coral Bay is at the church, so it is easy to reach. St. Georgios Church and its surroundings are considered to be some of the most attractive tourist destinations in the Paphos area. The Larnaca Castle is located on the seaside of the eponymous city. It was built in order to defend the city from a water attack. The Larnaca Castle was built the same time as the city – in the 14th century during the Greek period in Cyprus. But the idea of fortifying Larnaca is credited to the Byzantines. What was originally a small fort was turned into a medieval castle. During British occupation in Cyprus and the civil war, the Larnaca Castle lost its fortified importance and started to serve as a prison. 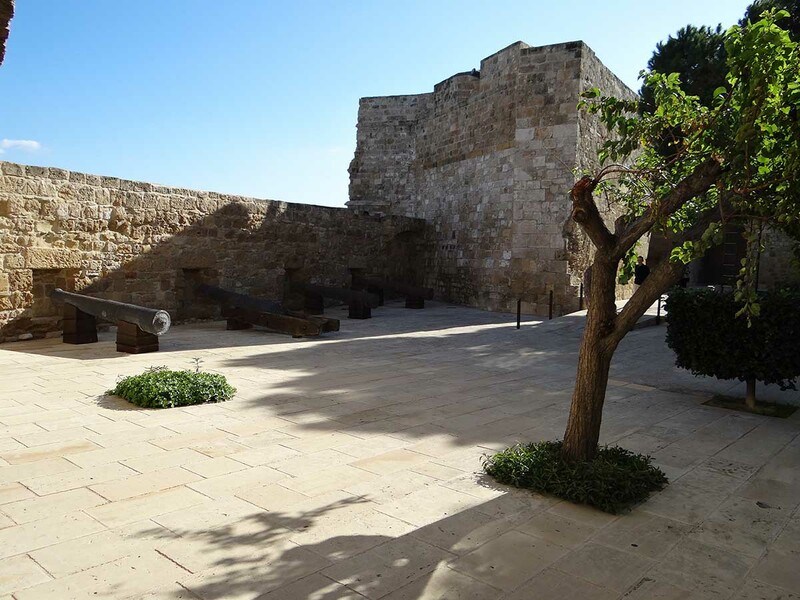 As soon as Cyprus was divided into two states, the castle turned into a museum. The museum has rich informative expositions about Byzantine times in Larnaca. It also allows you to increase your knowledge of the Cyprus way of life during different periods of time through paintings, crockery, weapon and other items. There is a nice courtyard at the museum, which is sometimes in use as a venue for open-air events. It is able to accommodate up to 200 people. The Tombs of the Kings is a historical area in the center of Paphos. As the name suggest, it is a large underground necropolis with the tombs of kings buried there a long time ago. Most representatives of the royal families and aristocrats were buried there around the 4th century BC. The tombs were discovered in the 20th century, but excavation in that area is still ongoing. The tombs are carved into stone and decorated with original frescoes. Those who know and appreciate art will notice Doric columns among the tombs. This attraction is considered to be a museum, as you have the opportunity to learn a lot about the people who are buried there and it will give you an idea about life in Paphos during ancient times. It is recommended to take a guided tour; otherwise it might be difficult to understand everything that this museum has to offer. The Tombs of the Kings is established as a UNESCO Heritage site due to its historical importance. 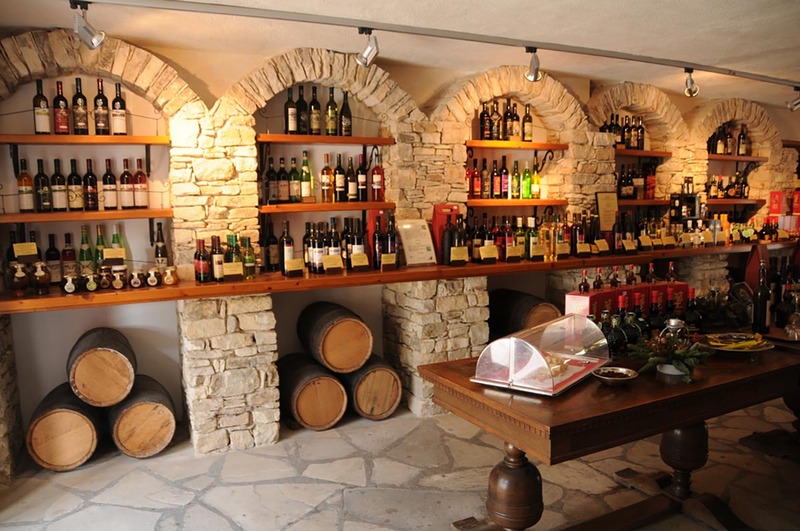 The Cyprus Wine Museum is popular amongst tourists, because Cyprus is known worldwide as a country with high-quality wine. The Cyprus Wine Museum is not only about drinking, but is also about the history of wine culture, which has changed exponentially since ancient times. You will see various types of drinking vessels in the museum from ancient vases and jars to modern bottles. There is also a private collection of vessels by Anastasia Guy represented in the museum. In addition, you will see how different sorts of wine were produced, stored and consumed in different times. The museum’s exhibitions are full of photos, audio-materials and lots of original items of wine housewares. This is must-see attraction for those who cannot imagine their lives without a glass of good wine. The museum is located in the small village of Erimi between Limassol and Paphos. It is very close to the Castle of Kolossi, which is also a famous tourist attraction. The Byzantine Museum and Art Galleries in the capital of Cyprus were sponsored by the the Archbishop Makarios III Foundation. He is better known as the first President of independent Cyprus. There is a historical exposition in the Byzantine Museum, which includes detailed mosaics from the 6th century and precious icons from the 9th century. Many exhibits of the museum were moved to the other places due to Turkish occupation. However, as time went on, they were returned and became a part of the museum. The same story applies to a number of the paintings. Some exhibits of the museum were moved there from North Cyprus as well. The Byzantine Museum and Art Galleries are popular places for children who chose art as their future occupation to practice. They observe the various painting techniques and try their hand at creating a mosaic themselves. 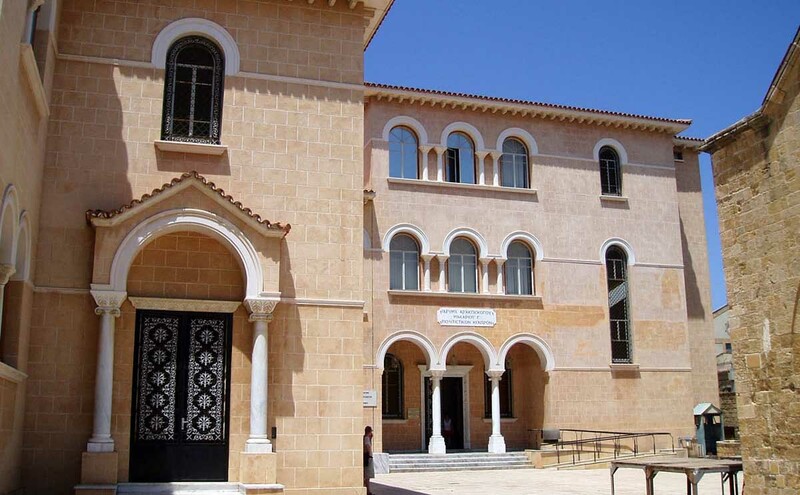 The museum is located in the same building as the residence of the Archbishop in the center of Nicosia. The Thalassa Municipal Museum was founded in 2005 and has become the first museum of its kind. Even though it is considered to be a modern museum, you will still see some archaeological findings in the museum, which date to the ancient times of Cyprus. The museum possesses seven levels, allowing visitors to get a bird’s eye view of the exhibits as they explore. The Thalassa Municipal Museum is dedicated to a marine theme. There are different sea inhabitants, vessels, coins and many other items. The ship “Kyrenia” is considered to be the centerpiece of the museum. Children like the boat a lot, but generally, idea of the Thalassa Municipal Museum is to show the importance of the sea and sea goods to the public. The Thalassa Municipal Museum is about the national history of Cyprus, which is deeply connected to the sea. Songs about the sea add to the atmosphere of the museum. Try to read them in Greek. The museum is located in the center of Ayia Napa, which is considered to be the clubbing center of Cyprus. The Steni Museum of Village Life is completely dedicated to the unhurried rural life in the village of Steni, which is very close to Polis in the district of Paphos. 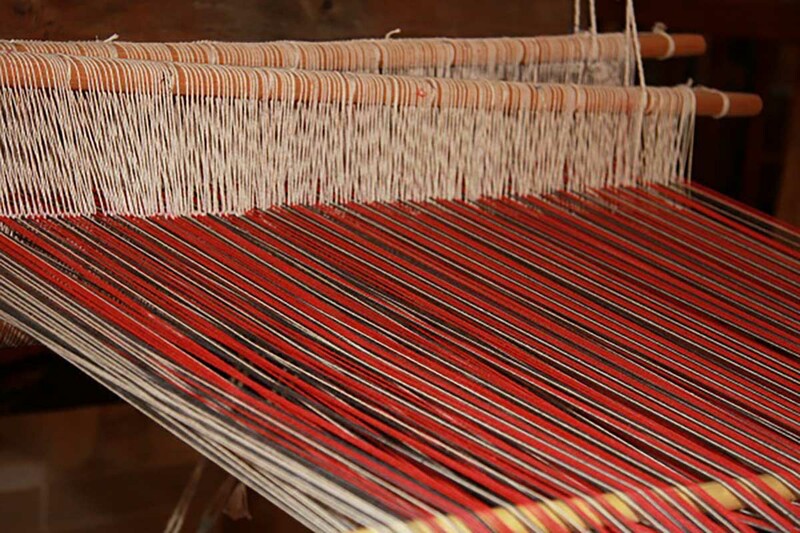 You will have a chance to see traditional Cyprus clothes and the way of weaving materials for them. Everything in the museum was used by the village people in their every day lives. With use of traditional household items, the Steni Museum of Village Life tells the story about the ordinary village way of life in Cyprus, including everyday activities, plans for the future and dreams from the beginning of the 19th century to the end of World War II in 1945. Today, the museum is supported by the President of the Steni community. The museum was founded with love, which is why it is imbued with the spirit of national Cyprus culture. The village of Steni is beautiful itself thanks to its amazing natural surroundings. You should stay in the village at least one day in order to feel the rural spirit of the true Cyprus. The Cyprus Historic & Classic Motor Museum is located in Limassol – the largest seaside city in the island. It is the must-see attraction for those who are fans of exclusive car collections, as that is exactly what it is! The Minister of Transport, Communications and Works of Cyprus initiated the museum in 2014, but it would not exist without the merit of mister Dimi Mavropoulos. He is a Rally Racing veteran and donated his collection of 90 cars to the Cyprus Historic & Classic Motor Museum. The museum’s whole collection was moved to the big spacious room it now occupies after just one year. Besides the museum, this space is used to house big events. There is a fantastic original exhibition of retro and modern cars designed in classical style. The Ford “T” roadster, which was made in 1912 and was in use for 102 years, is the oldest car on display in the museum. The armoured Cadillac was given to the museum as a gift from the US government. The Rover P5 was in use by the “Iron Lady” of the UK, Margaret Thatcher and the Mini on exhibit was featured in movies. 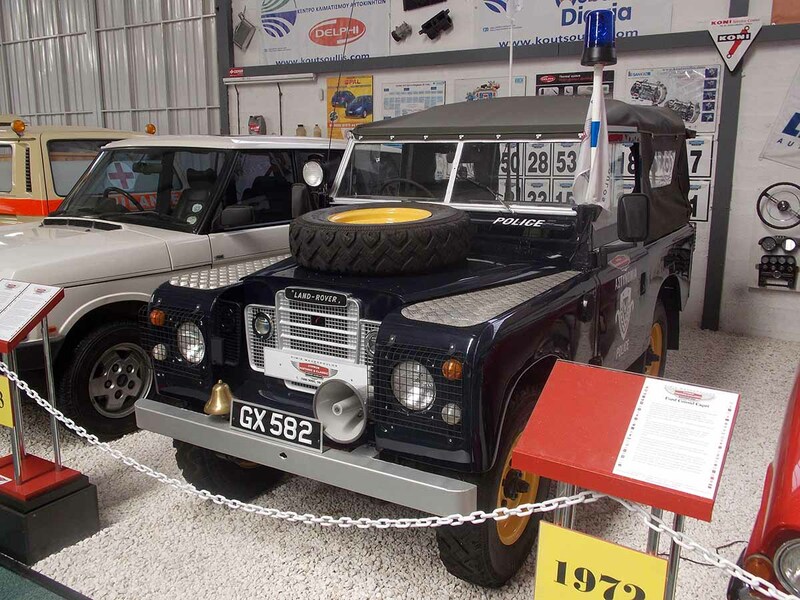 The Cyprus Historic & Classic Motor Museum is not only about amazing cars, but is also about the significance of the vehicles and the history of their usage. Part of the tickets’ fees will be donated for charitable needs. The Cyprus Archaeological Museum is also known as the Cyprus Museum for short. It is located in the capital of the country. 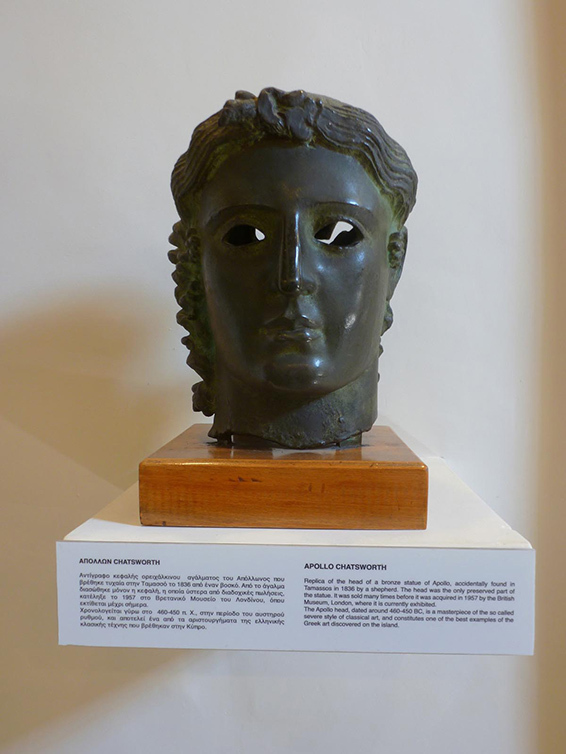 Cyprus is full of archaeological museums with exhibits found as the result of numerous excavations. This particular museum, however, is the largest one and was founded in 1882 by the initiative of Cypriots when Cyprus was occupied by Britain. Most excavations in Cyprus were organized by the British and the other European scientists. The exposition of the archaeological museum covers a long section of history from the Neolithic period until the end of the Roman Empire. History of humans in Cyprus started in the 10th century BC or earlier, so you will definitely have a lot to take in. 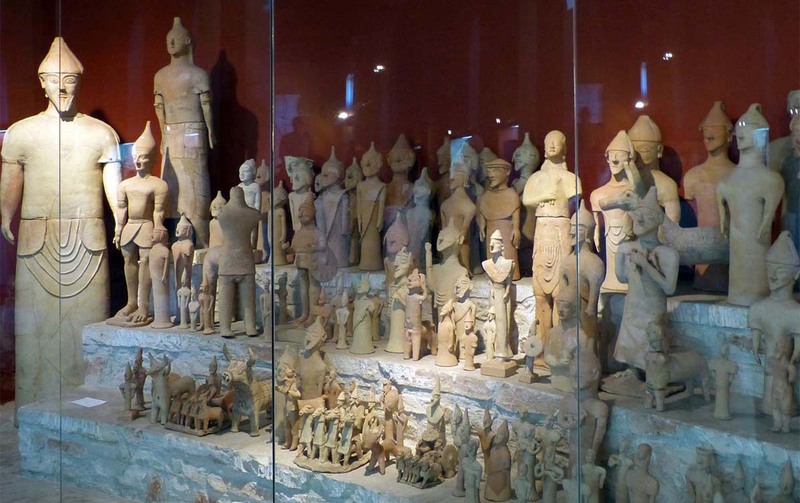 There is a large exhibition of ancient items in the museum, so plan to spend several hours there if you are going to read the description of every exhibit. It is also recommended to take a guided tour. 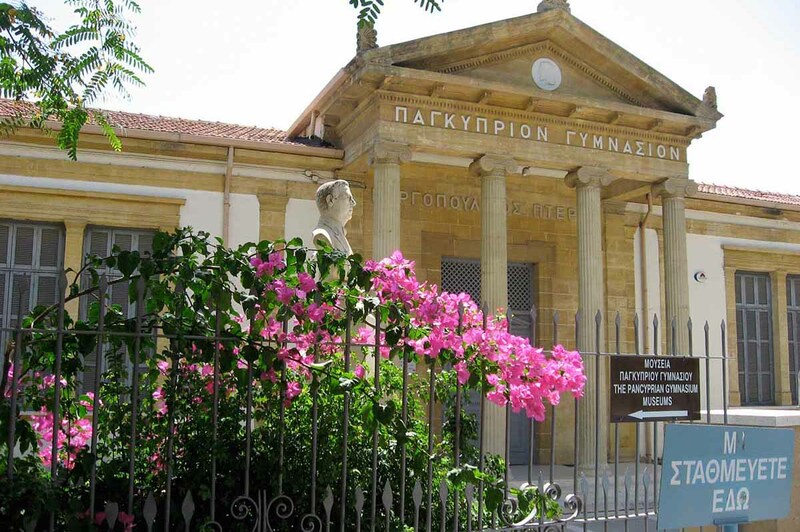 The collection of the museum is continuously growing and the idea of enlarging the Cyprus Museum into the Nicosia Old General Hospital is being considered. The Salt Lake is a well-known complex of four salt-water lakes and is located very close to the Larnaca International Airport. These lakes are called Spiro, Soros, Orphani and Aliki, the largest of the bunch. All these lakes form the second largest area of salt water in Cyprus after the Limassol Salt Lake. 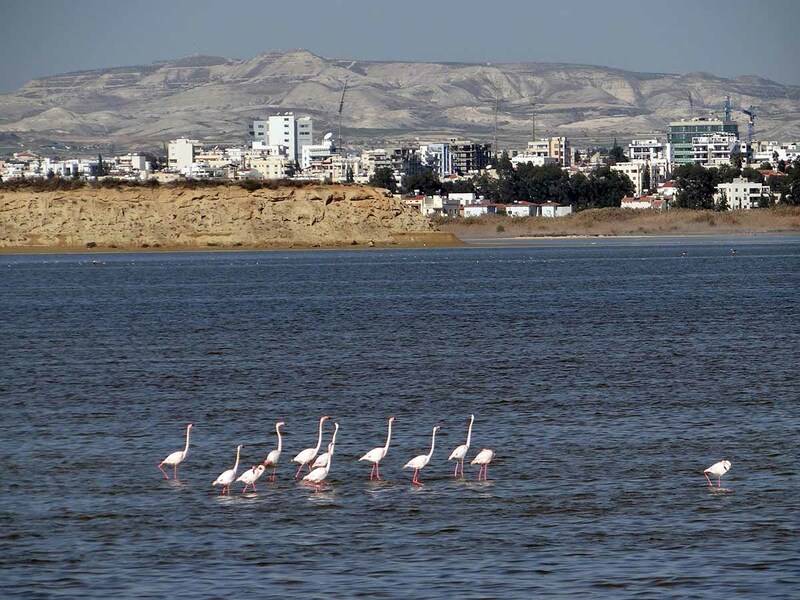 However, the Salt Lake in the Larnaca District is more famous. Due to its size and intrigue, the Salt Lake was marked as a Special Protected Area. The most notable landmark at the lake is the religious shrine, Hala Sultan Tekke, which is a site of Muslim pilgrimage. There are around 85 species of birds living in the lake, making it a popular birding site. Salt Lake becomes even more popular during winter when it turns to the attraction of flamingo watching. From 2000-12,000 pink flamingos spend their winter in the Salt Lake. Winters are pretty warm in the seaside of Cyprus – about 15 degrees on average during the day. These temperatures make it perfectly suitable for pink flamingos and numerous other water birds. The Salt Lake is also an important economical resource of extracting salt, which is processed and eventually exported from Cyprus. Aphrodite’s Rock and the Bath of Aphrodite are two different attractions located in different parts of Cyprus, but they are united by a general idea: both attractions are dedicated to the cult of the Greek goddess Aphrodite. According to legend, Aphrodite’s Rock is considered to be the birthplace of the goddess. As it goes, Aphrodite appeared from the sea foam that is often present in the area. It is located on the coast on a small beach and is visible from the main road from Limassol to Paphos. 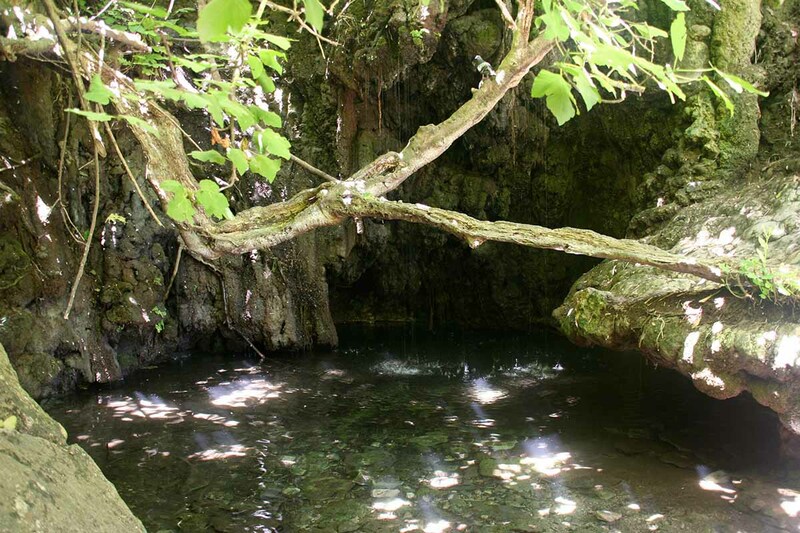 The Bath of Aphrodite is another famous place dedicated to the goddess. Legend says that Aphrodite met her beloved Adonis there. It looks like a water reservoir with fresh cold water where it is forbidden to swim. It is located in Akamas National Park, which is possible to reach from Polis in the Paphos district. Both attractions are considered to be some of the most popular landmarks in Cyprus, and both attract thousands of tourists annually. Coral Bay is one of the most popular beaches in Cyprus. It is located in a cozy bay of the Peyia village in the district of Paphos. Boasting a spacious sandy beach, Coral Bay is a kid-friendly attraction, suitable for families. However, there can sometimes be big waves, so check the weather before you go. If the weather is good, be ready to face the crowds during high season. If you do not like busy beaches, you should avoid this area. Coral Bay is a very popular tourist place equipped with lounge chairs, shower cabins, and toilets, and is surrounded by various restaurants, cafes and shops. It is very easy to reach by bus from the station in Paphos. There are also a lot of hotels around Coral Bay and it is worth to spending an extra day at this beautiful beach if you liked it from the very beginning. 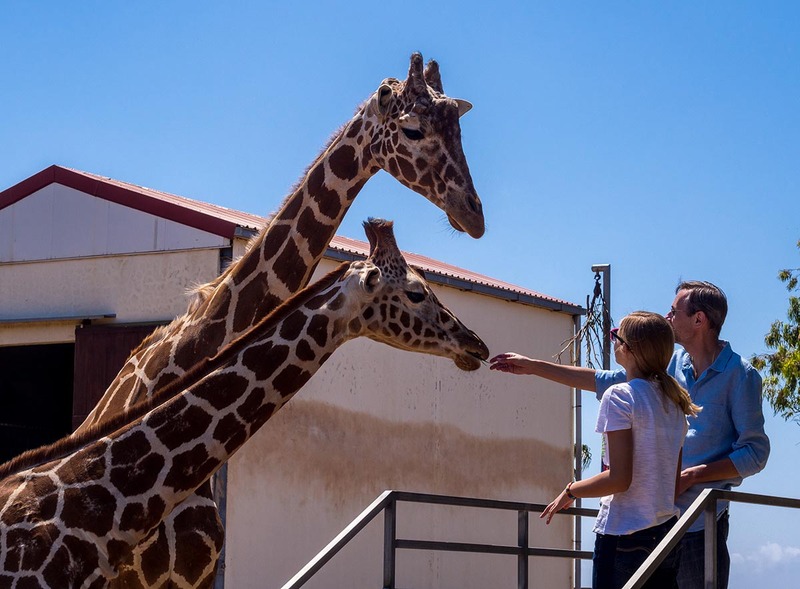 The Paphos Zoo is the perfect attraction for those who love birds and animals. There are lakes, ponds and gardens the Paphos Zoo where you will meet a lot of animals. There is one of the richest collections of snakes and parrots, as well as plenty of exotic animals such as crocodiles, monkeys, giraffes, kangaroos, tigers, lions and many others. The Paphos Zoo is considered to be one of the most attractive zoos in Europe. If you are traveling with children, they will absolutely adore this place, as animal watching is always very exciting. Do not miss the bird performances in the amphitheatre – it is very amusing! There is no holiday for the Paphos Zoo; it is accessible 365 days a year. The zoo is located to the west of Paphos between the Peyia Village and Saint Georgios Church. Avakas Gorge is located on the Akamas Peninsula of the Paphos District. To get there, you may either take a bus to the last stop at Saint Georgios Church and walk for about five kilometers, or go to the entrance of the national reserve by car. Either way, you will have about a 1km walk once inside the reserve in order to reach the beautiful Avakas Gorge Canyon. There is a hiking trail in the national reserve that runs through the canyon and then goes up to where you get to see the attraction from above. 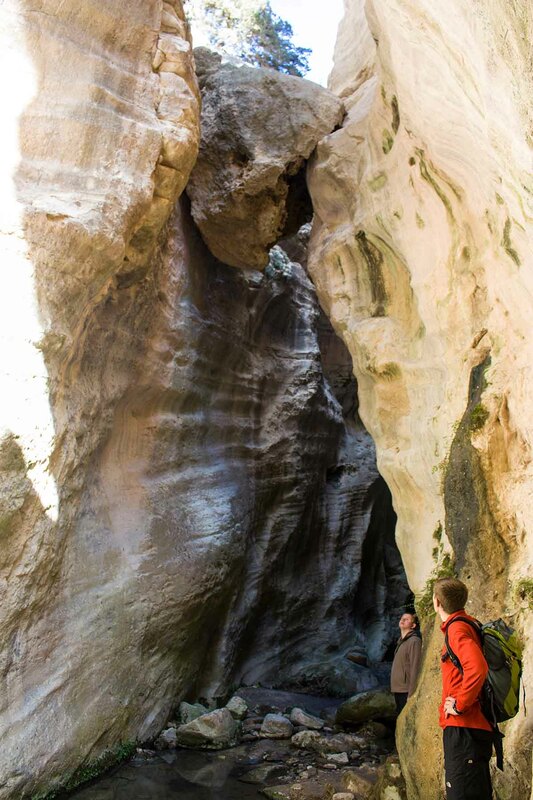 Undoubtedly, the most picturesque place of the Avakas Gorge is the hanging stone. As you approach, the stones turn into cliffs that come closer and closer to each other, which eventually allowed for a boulder to be stuck between the canyon walls for many decades, suspended above visitor’s heads. The Gorge is located inland very close to the beginning of the gorgeous Lara Bay. The Avakas Gorge is considered to be one of the most picturesque places in Cyprus, although it is not crowded, which is a bonus to visiting. The name of the national park is dedicated to the hero of the Trojan War, the son of the mythical king of Athens, Theseus. Akamas National Park is one of the most beautiful natural attractions in Cyprus. The wild nature of the park has been perfectly preserved, partially because it was used as a private point of entry for the British Navy and Army for many years of the British occupation of Cyprus. 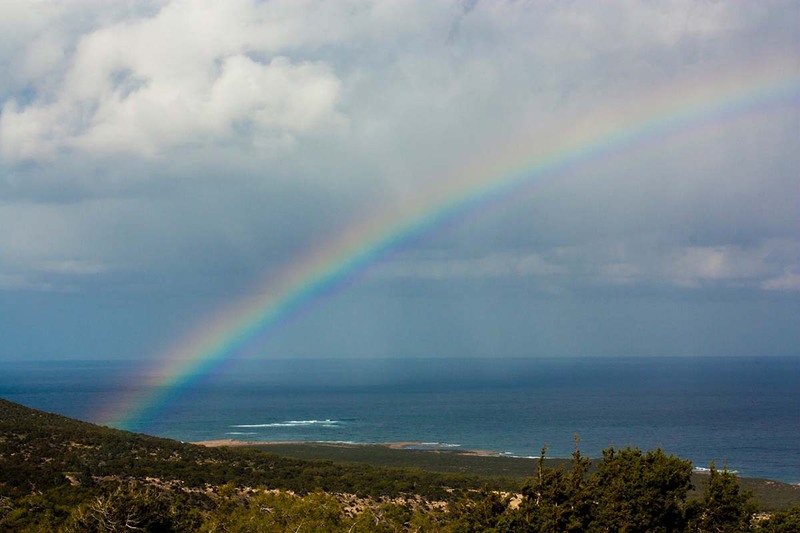 Inside, the biodiversity of Akamas National Park is incredibly rich. 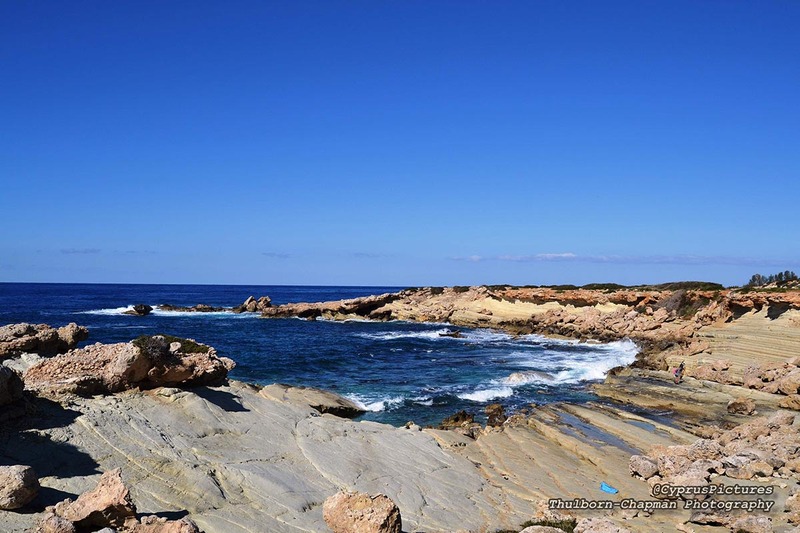 The national park is located in the likewise named headland in the very northwest of Cyprus, in the Paphos District between the Polis and Pegeia settlements. It starts at the popular tourist attraction, the Bath of Aphrodite. There is only one dirt road in the area and several trails, which allow tourists to climb up to the observation point on the mountain. From the summit you will be granted a breathtaking view of the entire Akamas National Park. There are no hotels in the national park, but there is a campsite. It is even possible to spot wild donkeys close to where you will camp. Despite the abundance of awesome and comfortable beaches with clear water in Cyprus, manmade water attractions are still quite popular. Spending time in a waterpark is a great way to relax and is perfect for families, where each member can find something that suits what they’re into whether it’s fast-paced waterslides or a lazy river. There are also plenty of outdoor waterparks that space for just lying out and getting a tan in the hot Cyprus sun. There are also zones for children, where they may have fun and meet new friends, and of course, tons of places that sell food and drinks. Many contemporary companies use the parks as a team building method. 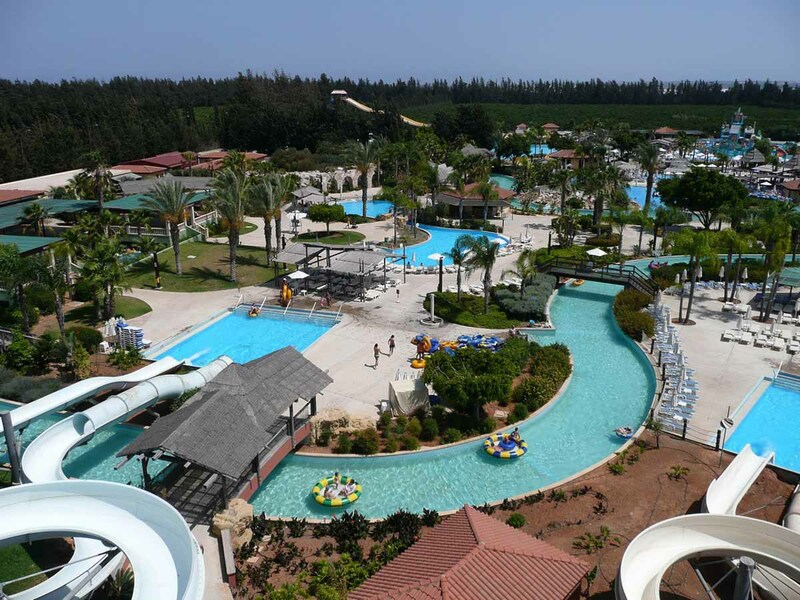 The largest and the most beloved in the country are WaterWorld in the Ayia Napa District, the Paphos Aphrodite Waterpark in the Paphos District and Fasouri Watermania Waterpark in the Limassol district.